As part of the museum’s #ToxinTakeoverMiami, we invited Wendy Stephan of the Florida Poison Information Center-Miami to share her insight. As educator and epidemiologist for the regional poison control center in South Florida, I get an inside view into the fascinating world of poison. My training in public health (and experience as a parent) have been great preparation for my work educating on an always-changing array of hazards. About a week after I started work at our center at Jackson Memorial Hospital/University of Miami Medical Center, I arrived to find my colleagues in hazmat suits. It turned out to be a drill for the hospital’s decontamination team, but I did briefly wonder if every day at the poison center would be so exciting! For the most part, the 55 poison centers around the U.S. see similar poisonings from day to day. Why? Every Target or Walmart carries the same cleaners and cosmetics. Prescription-strength and over-the-counter medications are also comparable in Miami or Minneapolis. But locally, we do have some unique poisons that stump even doctors. Among the 250 calls we process each day, we might treat tropical marine poisonings, exposures to exotic plants, and/or herbal concoctions from around the world. Imagine licking an ice cream cone and having it burn your tongue. Or walking across a tile floor that feels like it’s on fire. These odd sensations are a tell-tale symptom of ciguatera fish poisoning. Ciguatera results from eating a reef fish containing a high concentration of a powerful neurotoxin. Besides “reversal of hot and cold” sensations, ciguatera can also cause diarrhea, vomiting, muscle aches and weakness. If not treated within the first 72 hours, symptoms can last for weeks or even months. You might think a plant called “angel’s trumpet” would be harmlessly pretty. Not so. People who eat this plant (or sip a tea from its leaves) may find out the hard way that this plant is a killer. 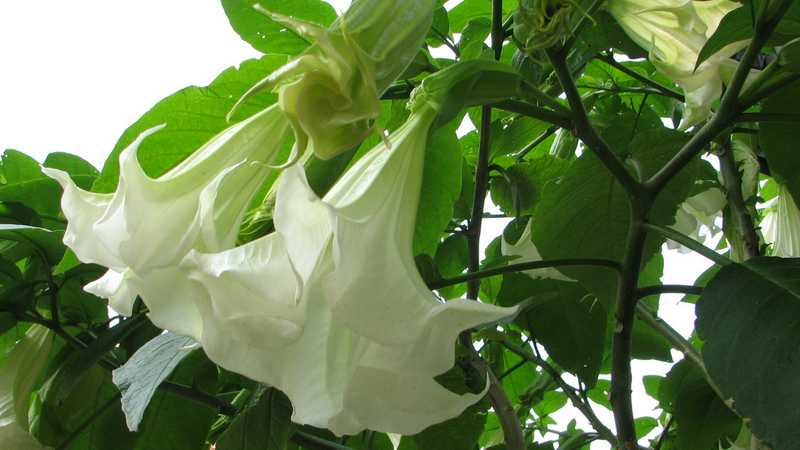 Most of the deaths from Brugmansia in the United States occur in our area. Symptoms can include rapid heart rate, hallucinations, increased body temperature, dilated eyes, and flushed face. Our hot weather makes it more likely that victims will dangerously dehydrate and not survive. Have you ever taken a supplement to stay healthy? One case we treated involved the consumption of a liquid brought from Asia known as “snake wine.” Yes, there was a snake, unknown herbs (and a scorpion!) marinating in bottle of wine in the photo snapped at a local emergency room. Apparently, the person who sipped this supposed cancer preventive was not feeling well at all! But our work is not all weird or dramatic. Early in my role as educator, I asked Earlene, one of our poison specialists, if she was treating anything exciting. She smiled kindly and said, “No, it’s been the best sort of day – I’ve gotten to tell my callers that everything’s going to be just fine.” As darkly fascinating as work at the poison center can be, she reminded me of the best part of our job – providing accurate information and reassurance to our callers, every day. 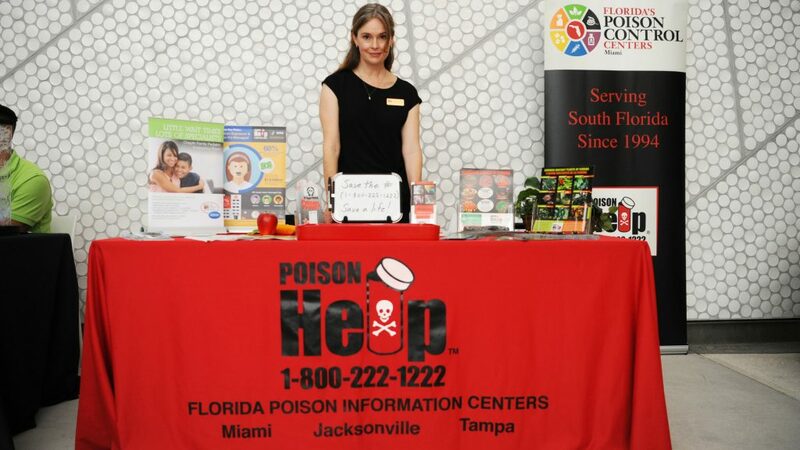 For more information about Florida’s Poison Control Centers visit our table every weekend at Frost Science, www.floridapoisoncontrol.org, or call 1-800-222-1222 for immediate assistance with any poisoning or poison-related question. The Power of Poison is on view through Monday, September 3, 2018 inside the Hsiao Family Special Exhibition Gallery on the first floor of the museum. The exhibition is supported locally by Jackson Health System and Florida Poison Information Center-Miami. The Power of Poison is organized by the American Museum of Natural History, New York (www.amnh.org).